Following their lauded Sage album, released in 2011 by Neurot Recordings, the new LP from Nashville trio ACROSS TUNDRAS is set for harvest on the band’s newly founded D.I.Y. label. 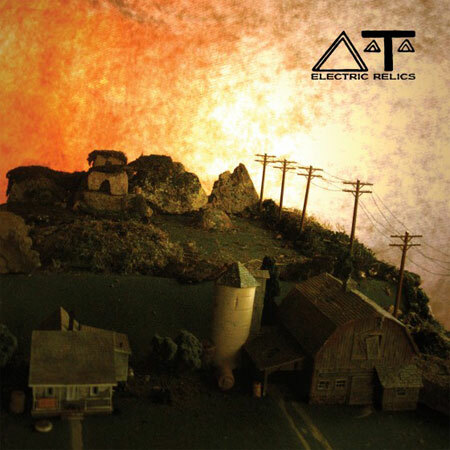 On the new LP Electric Relics, ACROSS TUNDRAS take their ever-expanding style of modern Americana further into the same westerly direction they’ve been traversing for the past few years, organically fusing their swells of post-doom into Spaghetti Western soundtracks and meandering blues/rock jam sessions. A wide variety of sounds seamlessly mingle throughout the slow motion base founding guitarist/vocalist/songwriter Tanner Olson, percussionist Casey Perry and bassist/vocalist Mikey Allred (Hellbender) lay down, Allred also contributing pianos/organs, synthesizers, mellotron, trombone and more, and his brother Joey (Hellbender) contributing guest slide guitar and vocals. Additionally, Perry hand constructed the scale model landscape for the cover art, with Olson handling the graphic design and layout. ACROSS TUNDRAS recorded Electric Relics at their expansive Ramble Hill Farm in February, and is releasing it on their own label of the same name, making it a fully self-managed D.I.Y. release. Electric Relics is available for free/name-your-price download now via Bandcamp, where orders for the deluxe vinyl edition — being pressed on 180-gram virgin vinyl and bearing gatefold jackets — can also be placed. Stream and pick up the album HERE. 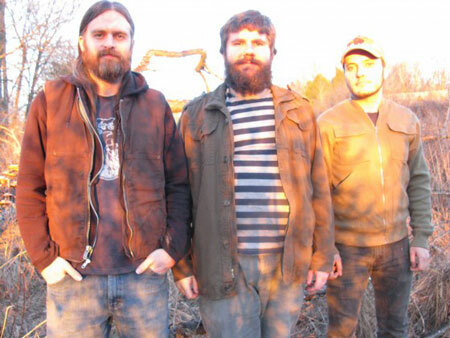 In support of the album, ACROSS TUNDRAS are hooking up with their cohorts in Hellbender for a Western U.S. tour, kicking off with a hometown show on June 6th and winding out through the West Coast and back through the Midwestern states. Third Installment Of Cvlt Nation’s Compilation Series Now Playing With MISFITS’ Earth A.D.